“Gods of Egypt” is truly a spectacle of badness, but it’s far from unwatchable. It’s like the wreck that you just can’t turn away from; it’s nearly impossible to avert your eyes to this bizarre adventure tale. 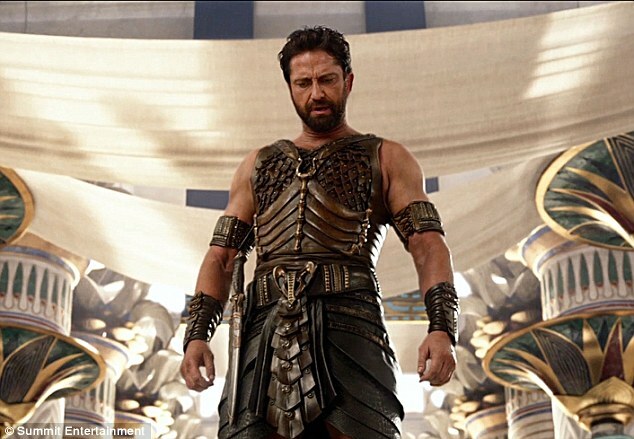 This big budget movie is full of bad acting (oh Gerard Butler, you have fallen so far that you may never recover), really bad computer generated animation (did that god just transform into an aluminum eagle? ), screechingly bad music, hilariously bad dialogue (with some lines that seem destined for cult status), and is just plain strange. You can call it the mythological version of “Showgirls.” Oddly enough, I didn’t hate it and I found that the more corny it got, the more enjoyable it was (I’m sick, I know)! The how and why of this movie is a mystery: how on Earth did it ever get made? Why would anyone pay to actually see it? I’d tell you more about the ridiculous plot but why bother? The chances anyone will ever watch this are so low that I hate to waste brainpower writing a review. At least it seems like everyone involved in this fiasco didn’t take themselves (or the film) too seriously, and that’s why it worked for me. There is one bright spot to the film: the costumes are awesome. If you like seeing giant, indistinct computer generated creatures battle one another in a variety of computer-generated landscapes, then “Gods of Egypt” is the movie for you. Everyone else should skip this one. “Gods of Egypt” plays like “300” mashed together with “Aladdin,” “The Immortals,” and “Indiana Jones.” It seems like it was re-written roughly 250 times after being focus-grouped to death. In other words, despite ancient Egypt and Egyptian lore having a somewhat timeless appeal, the filmmakers drew from this potentially fertile ground to tell a boring story with uninteresting characters. While I know the studio had some franchise hopes for it, unfortunately this one is dead on arrival.